Constructed at the Museo Universitario Arte Contemporáneo (MUAC) in Mexico City as part of Zaha Hadid Architects first exhibition in Latin America, KnitCandela is a thin, sinuous concrete shell built on ultra-lightweight knitted formwork that was carried to Mexico from Switzerland in a suitcase. 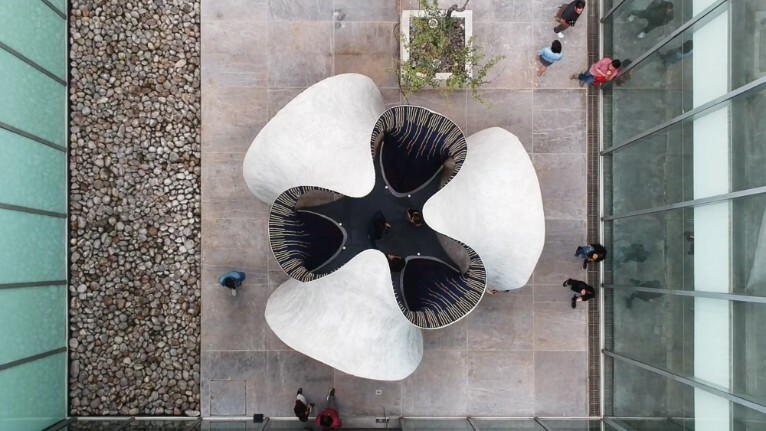 This experimental structure pays homage to the Spanish-Mexican architect and engineer Félix Candela, reimagining his inventive concrete shell structures through the introduction of new computational design methods and innovative KnitCrete formwork technology. 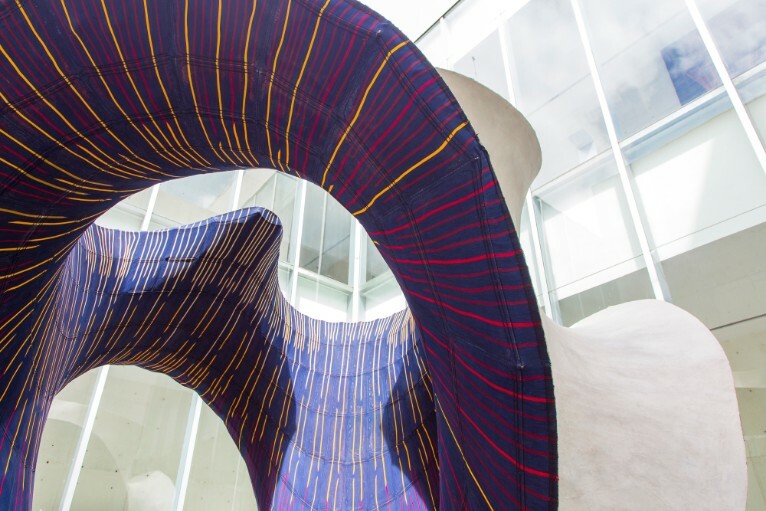 The dynamic geometry of KnitCandela’s shell is inspired by the fluid forms of the colourful traditional dress of Jalisco, Mexico. While the structure’s local builders nicknamed the project 'sarape' (a striped scarf that originated in Mexico), KnitCandela’s form references his acclaimed restaurant at Xochimilco; a concept he further developed in several of his subsequent projects. 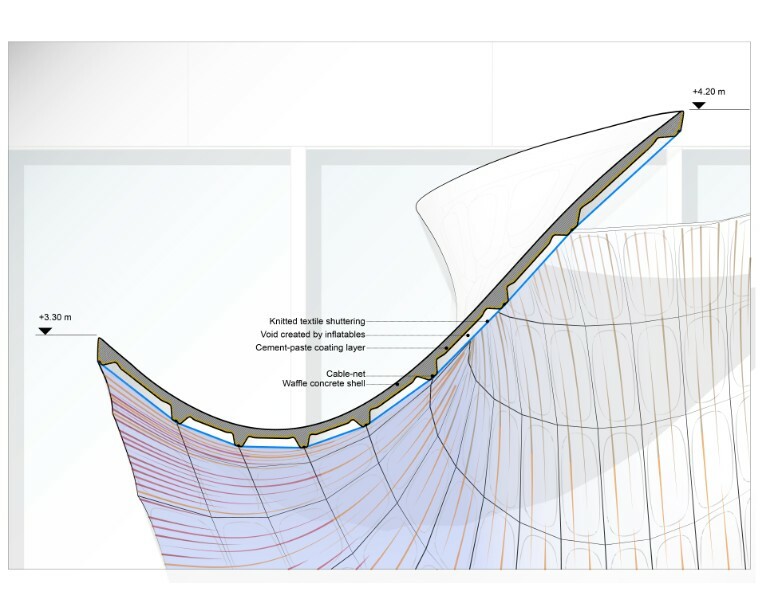 While Candela relied on combining hyperbolic paraboloid surfaces (“hypars”) to produce reusable formworks leading to a reduction of construction waste, KnitCrete allows for the realisation of a much wider range of anticlastic geometries. 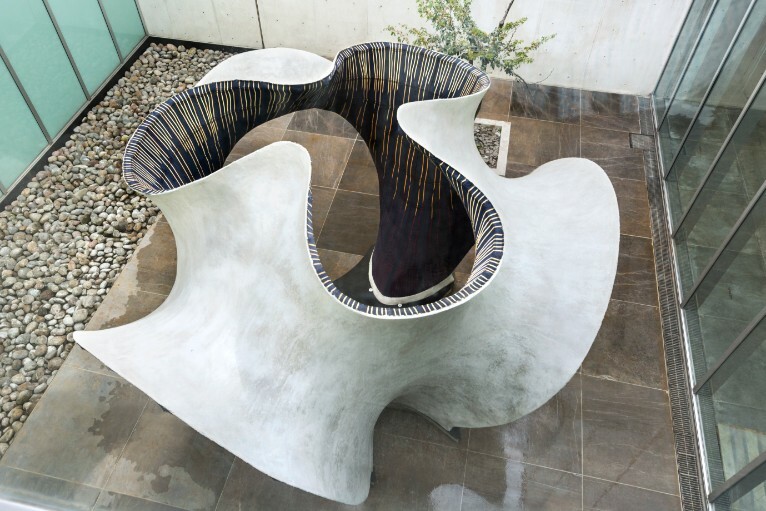 With this cable-net and fabric formwork system, expressive, freeform concrete surfaces can now be constructed efficiently, without the need for complex moulds. 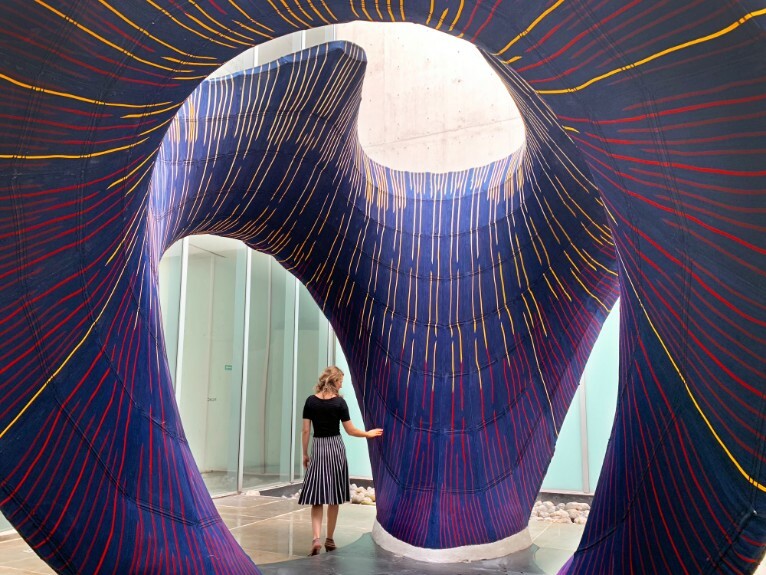 KnitCandela’s thin, double-curved concrete shell with a surface area of almost 50 sq.m. and weighing more than 5 tonnes, was applied on a KnitCrete formwork of only 55 kg. 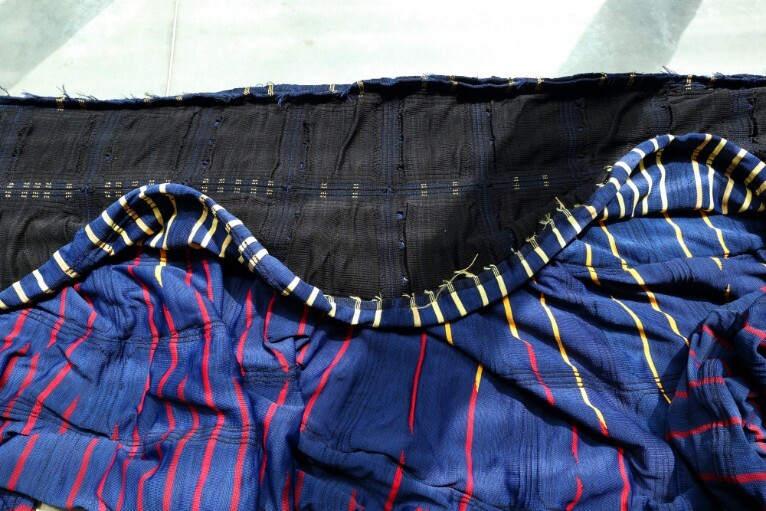 The knitted fabric of the formwork system was carried to Mexico from Switzerland in a suitcase. 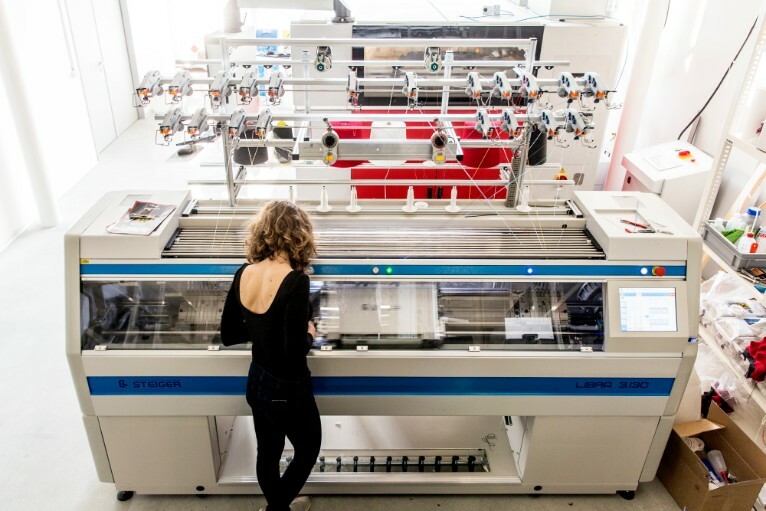 The realisation of KnitCandela is the result of a collaborative effort that harnessed collective expertise in computational design, engineering and fabrication. The architectural design is the latest expression of the Zaha Hadid Architects’ computation and design research group (ZHCODE) for designs that utilise structural and constructional features to enhance the spatial experience of the user. For the realisation of this expression, Block Research Group (BRG) of ETH Zurich introduced the KnitCrete formwork technology and developed the structural design and construction system. Architecture Extrapolated (R-Ex) managed the execution of the project on site in Mexico City as part of its continued engagement in the digitisation of building trades in Mexico. 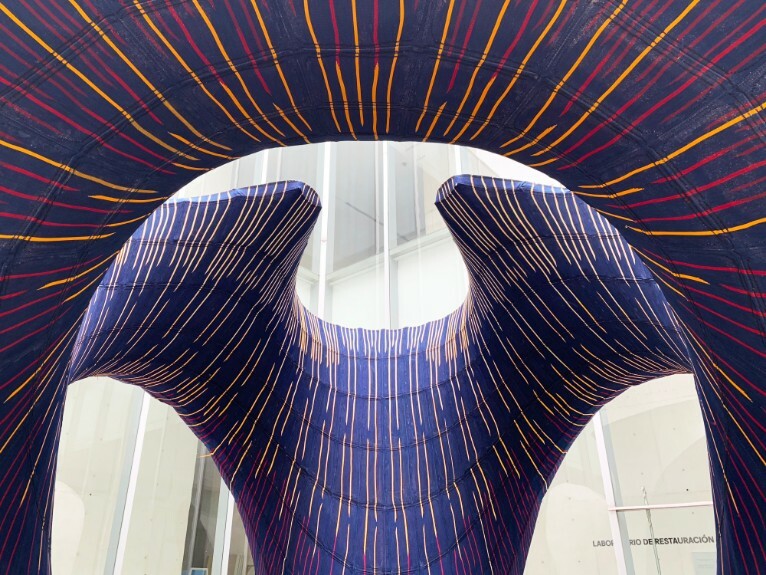 Designed to be constructed within a tight schedule, restricted space and minimal budget, KnitCandela demonstrates the rapid evolution and adaptation of digital design and fabrication to the challenges faced by the construction industry. 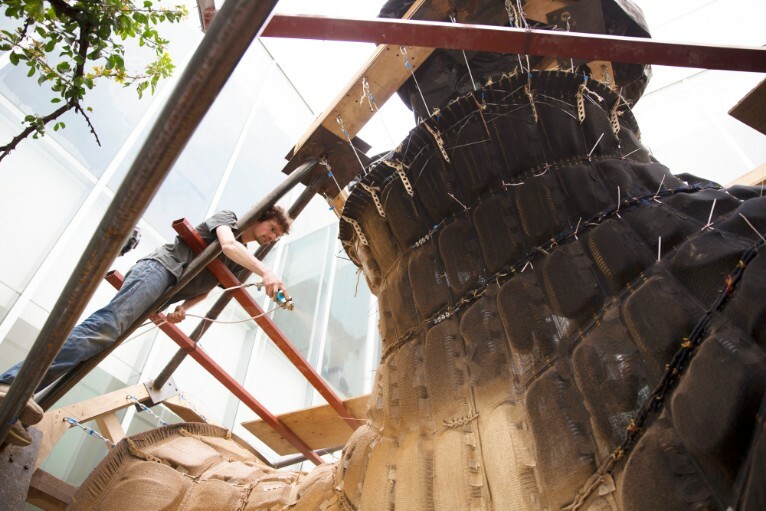 This experimental structure also explores the possibilities of integrating digital fabrication with the skills of traditional craftsmanship and construction methods. I’d like to thank the author for writing such an insightful and informative blog post that is not just useful to the readers but also revealing.